It’s super easy, quick, and light. The best choice for your summer lunch or dinner. The chives give the yogurt great twist – it’s not so plain anymore. Go for it when not having enough time to cook or just hungry for something healthy. 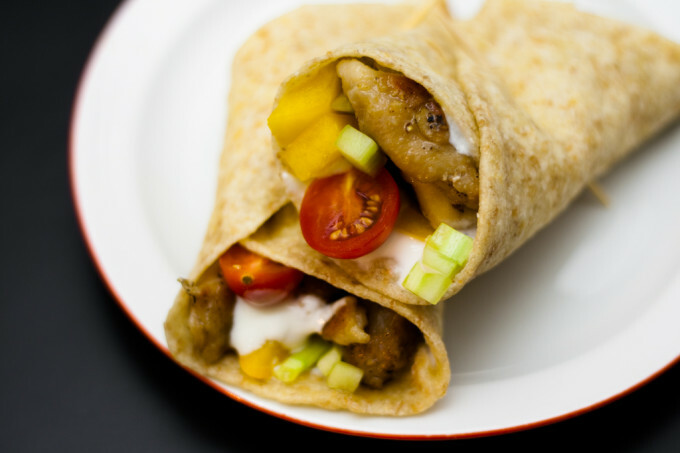 We love these wraps with a homemade tortilla. You need just a half an hour to make homemade tortilla and filling and just few more minutes to eat it. So it’s superfast and (super)healthy and with all these words I’m getting hungry. 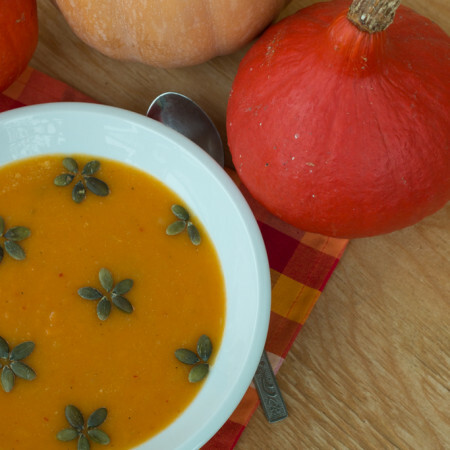 It’s much healthier than burrito (don’t worry, I have this one recipe too) and still yummy. It’s great meal after working out – no compunction after this one! Are you thinking about homemade tortillas? Here’s the recipe. For wholewheat one just use about half-half plain and wholewheat flour. 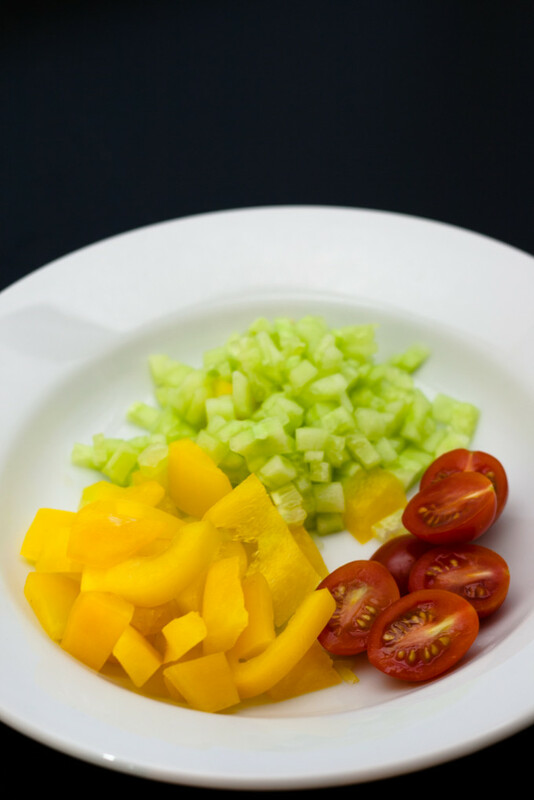 Chop cucumber and bell pepper. Halve tomatoes. Mix yogurt with finely chopped chives. 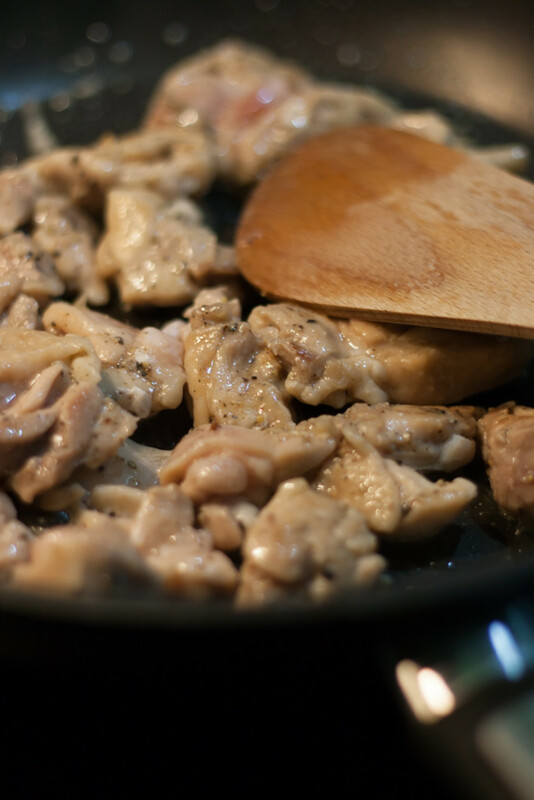 Cut chicken meat into chunks, season. Heat a sauce pan, add oil and cook the meat well. 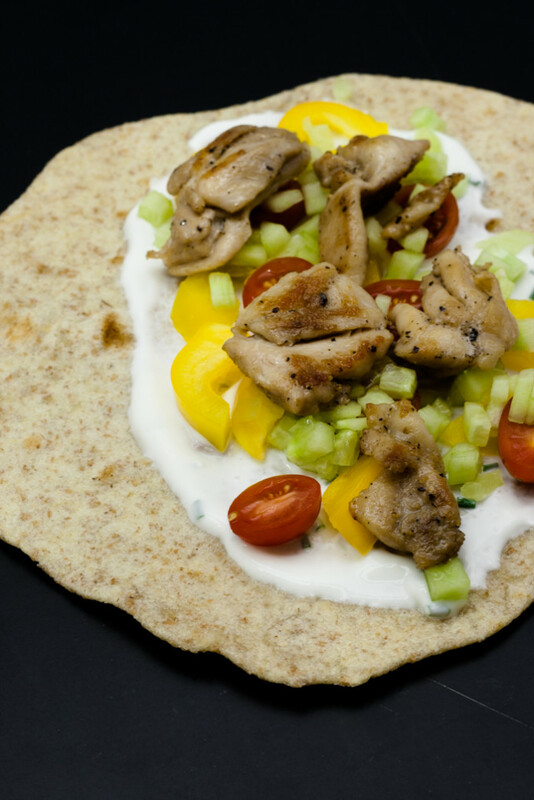 Divide yogurt, vegetable, and meat among tortillas. Wrap and use some toothpick or some foil to avoid filling drop out. If using chicken meat with a skin, don't use oil - there's enough (tasty) fat in it.